Southfield is a friendly and culturally diverse school. We have great staff, motivated learners and supportive governors and parents. Following our last Ofsted inspection we want to be outstanding. Cater for the needs of all children. Communicate effectively with colleagues and parents. The school is committed to a safer recruitment practice and pre-employment checks will be undertaken before interview. The successful candidate will be required to apply for an enhanced disclosure from the Disclosure and Barring Service. Shortlisted applicants will be contacted by email or phone. We are always interested in meeting prospective new colleagues. For more information or to book places on one of the tours, please contact the school office. Your personal data will be kept on file by us and used to notify you of vacancies at Southfield Primary School. We will not pass your details on to any third party and you may request to be removed from our lists at any time by emailing or writing to Sheila McCabe, Southfield Primary School, Southfield Road, London W4 1BD. Primary School with 443 pupils (including Nursery). 40 place Nursery (15 in the morning, 15 in the afternoon and 10 full-time places). We are often full with a waiting list. Set in the Garden Suburb of Bedford Park, Chiswick. Chiswick is perfect for those who want the advantages of the capital but don’t want to work in the hustle and bustle of a busy city. Chiswick is safe, quiet, affluent and full of leafy green areas. March 2014 – School inspected and good in all categories. 2015 – The School wins £1000 in the Key Stage 2 category of the Pupil Premium Awards. 2016 – The School gains Silver accreditation in the School Travel Plan. 2017 – The School gains Gold accreditation in the School Travel Plan. 2018 – The School gains Gold accreditation in the School Travel Plan. 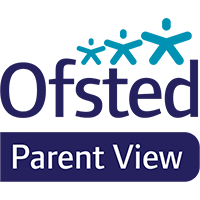 June 2018 – Ofsted return! Good in all categories – particular emphasis on how the School has concentrated its efforts on quality learning and teaching and how it develops and celebrates teachers’ skills.